Most people now understand and acknowledge the significance of social media in today’s business perspective. However, as a business owner, you must identify the right social media channel for your business as every popular social media platform varies in purpose, functionality and type of audience. Most companies cannot be amazing on all platforms due to it taking an incredible amount of resources and effort. Instead of trying to be omnipresent across all platforms, you should rather identify the most effective channels and ensure stellar representation on those specific platforms. Moreover, Pinterest has a niche market and is able to serve it incredibly well. Comments can be made to other members boards as well as users are able to click onto the link from which the image originated from. Each pinboard is attached to the profile of the pinner therefore fellow users are able to see the person or business behind the shared media. This platform is a site known for its consummate networking. LinkedIn allows you an opportunity to increase business connections and the ability to utilize them in a variant of ways. This is an optimal way to meet people and find yourself within their Rolodex. Service providers find that this medium is optimal for them. As new connections are in need of services, they tend to lean in the direction of connections made via the social networking site. This is not a very visual site, most users create brief posts regarding their business and attach links to their blogs and business websites. This visually driven and exciting platform is also a very powerful tool. YouTube has become quite synonymous in regards to company made or homemade videos that are viewed globally. This platform does not only allow audiences to simply view videos, but they can comment and share the media on a wide variety of social media sites. The key to effective use of the site is to feature your service or product in a way that is unforgettable. With its millions of users and billions that browse daily minus a profile, the bar has been set very high in regards to video quality. The public will not sit and watch or share a video that is boring or too familiar. YouTube takes the visual platform of Pinterest to another level. Rather than simply posting a picture of an incredible dish that your business provides, you can submit a video of its creation or diners feasting upon it while offering their personal review. For those within the wedding industry, this is a platform that truly allows for your work and customer satisfaction to be fully displayed. This has been deemed the platform of the ongoing conversation. Unlike other platforms where you can sit and browse and decide what to view and take your time on it; Twitter is a more “in the moment” platform. This is ideal for companies that want or need to reach people now and have a great deal of brief content to share regarding their brand. This is one of the most popular and powerful tool on the internet at the moment. The sheer size of the network is a positive for businesses, because it is safe to assume that regardless of the day or time, someone is on the network. As opposed to Twitter, user can choose what they view and how long they do so. 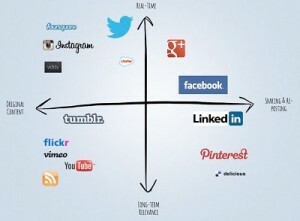 Just as with all of the other mediums, users are able to post media, posts, share, like and comment. Businesses are able to connect with other businesses as well as engaging with an audience that is ever growing. In addition, Facebook provides businesses with analytical tools as well as the opportunity to purchase ad space and even sell items direct via the site. Facebook PPC is also one of the easiest platforms to get started on for small entrepreneurs.